Welcome home to easy access and bountiful amenities! 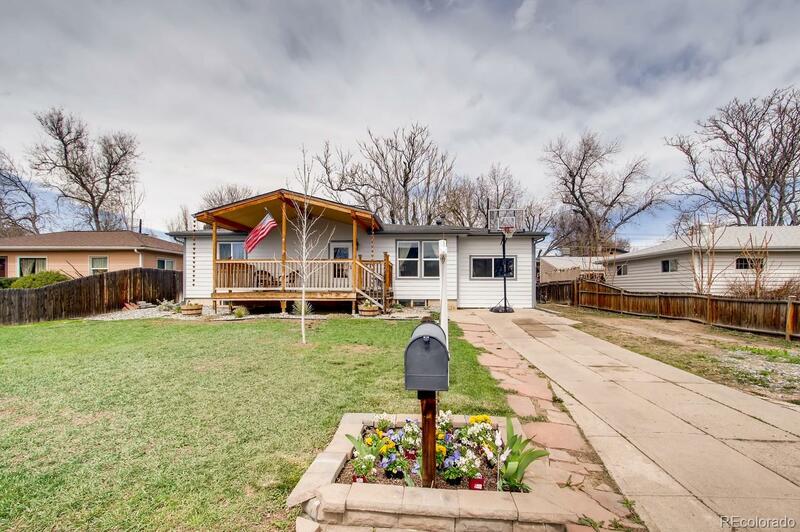 Sprouts Market, Clear Creek Trail, Crown Hill Lake, Wheat Ridge Recreation Center, Discovery Park and just a few short minutes to I-70. Finished basement with family room and fireplace, stainless steel appliances, new paint, oversized garage/workshop with unfinished Mother-In-Law above, fenced yard for the furry family members and unfinished extra space with newer french doors to back yard and picture window to front. Quiet location, walking and bicycle friendly, 4 extra off-street parking spaces and spacious summer entertaining on front & back decks. Newer 2016 furnace. Don't miss on this quintessential family home!